A contribution to Ailsa’s photo challenge, Trees. This entry was posted in New York City, Photography and tagged Central Park, Manhattan, New York City, Photography, postaweek, postaweek2015, Travel, Trees, Weekly Photo Challenge. Bookmark the permalink. Fabulous, love this so much! Wow! love this shot…seems to go on forever…one should, eventually, see Kay, Gerda and the Snow Queen at the end of it. I love it. It looks like a painting. Cool. Very nice photo a summer pic would be nice to see too. Beautiful! 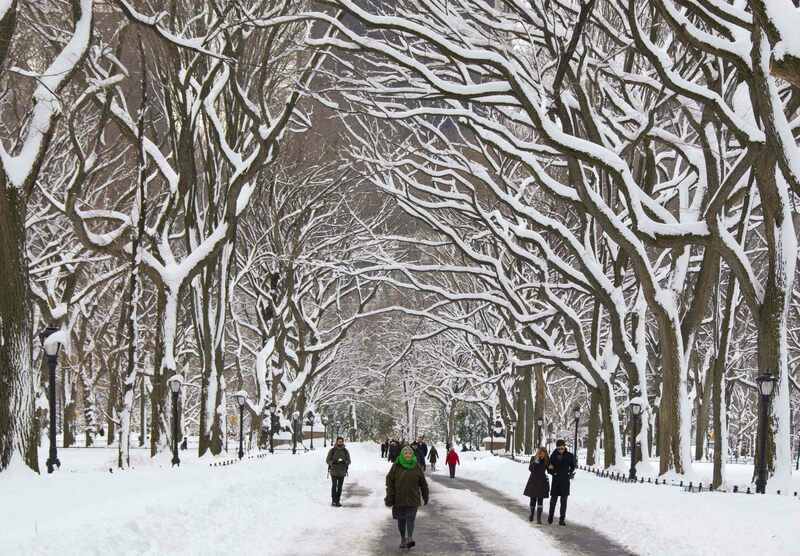 It reminds me of the work of a famous Hungarian photographer whose photos of Central Park in Winter appear on Christmas cards. André Kertész (2 July 1894 – 28 September 1985), born Kertész Andor, was a Hungarian-born photographer known for his groundbreaking contributions to photographic composition and the photo essay. It is ALMOST spring up here in central Massachusetts. Almost. By next week, I think it will finally be here for real. Love the trees covered with snow picture. Excellent photo! I’m looking forward to the spring, summer, and autumn repeats! I will try to assemble a quartet!